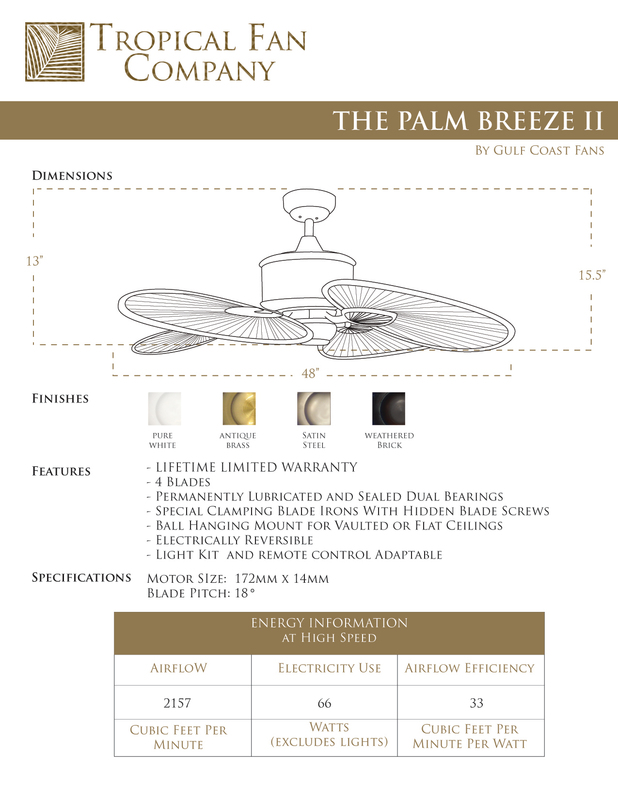 The Palm Breeze II Tropical Ceiling Fan with 48 Inch Natural Palm Blades combines nature's design with modern engineering for a stunning addition to any interior design. Strengthened, hand-woven palm frond blades rotate gracefully on brackets that emphasize the palms' pleated surfaces. 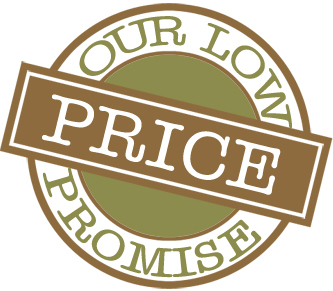 Available in Pure White, Antique Brass, Satin Steel, and Oil Rubbed Bronze. The Palm blades are available in 48" or 56" Natural Finish. Also available are 48" Woven Bamboo Blades in Light, Dark or Cherry finishes. 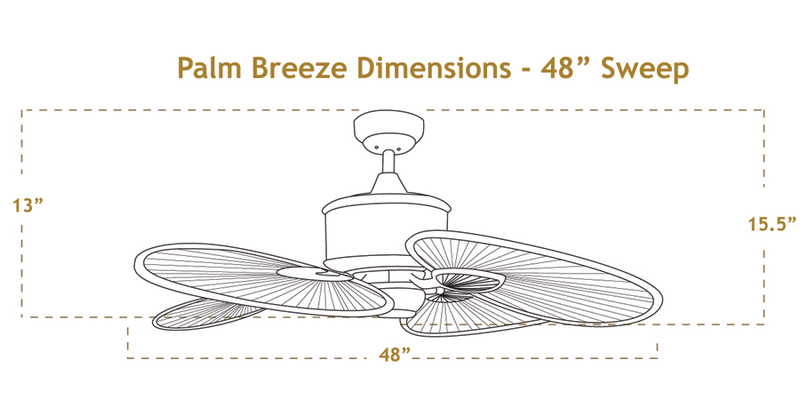 *Disclaimer: Ceiling fan motor has been tested with traditional 48 inch sweep blades.